Over the last few centuries but more pervasively during the last fifty years, a secular worldview or belief system has infiltrated every aspect of the modern world, dominating the media, the arts, science, and philosophy as well as economic, political, and educational agendas. It views life through an increasingly utilitarian and materialistic mind-set, seeing no goal for humanity beyond the survival of our ever increasing numbers. This physicalist- materialist model of scientific materialism dominates our scientific and cultural thinking. The dominant belief of our secular culture is the Neo-Darwinian one, that life on this planet has evolved by natural selection and that we are simply the product of our biological genes and our interaction with our environment. Life has come into being by chance; its biological evolution is controlled by chance. Life has neither meaning nor purpose. Matter is primary and gives rise to mind as a secondary phenomenon. Consciousness is therefore a by-product of the brain in scientific materialism. An estimated $500B per year globally in corporate and government research and development is invested with the above assumptions, with none contrary to this premise going to areas like alternative energy devices or alternative medicine. Things like yoga, prana, reincarnation which are common knowledge in India or meditation, qi gong, and acupuncture in China are substantively overlooked. Research organizations work today on what they’re paid to work on top down and only 1% on things that are in the self-interest of the public. Modern secular culture has exalted man as the supreme agent of his own triumphant scientific and technological progress, but it has also reduced him to a biological mechanism, subject to the programming of his genetic inheritance. It has created a society that believes in nothing beyond the myth of technological progress and the omnipotent power of science and the human mind. It has done away with any ethical foundation for values. It does not question the premises that direct its conclusions, nor does it look at the effects of its beliefs on children growing up in a superficial culture. We live in an unconscious civilization, as Canadian philosopher John Ralston Saul describes in his book of that title. This scientific materialism belief system tells us that we are the products of mindless forces operating on inanimate matter; atoms are lifeless particles, floating in a dead universe. There is no such thing as free will nor any meaning to our lives because we are nothing more than a random assembly of nerve cells. We exist to improve the material conditions of our lives, to work, consume, and enjoy what we can accumulate in the way of wealth or material things. When we die, that is the end of us. A paranoid need for technological surveillance and ever extended control are part and parcel of this soulless scenario. We are told that only what is physical is of importance, that everything we see is merely the sum of its parts, that material objects are entirely separate from one another, that there is no interaction between our minds and the matter we see around us, and that the universe has no intelligence or internal order. Today’s prevailing worldview is based on the materialist and reductionist principles of Newton, Descartes, and Darwin. 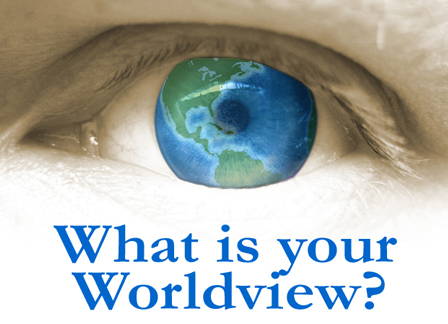 Although individuals in their private lives may view things otherwise, the above are the assumptions of the official scientific materialism worldview of the press, academia, corporations and governments.